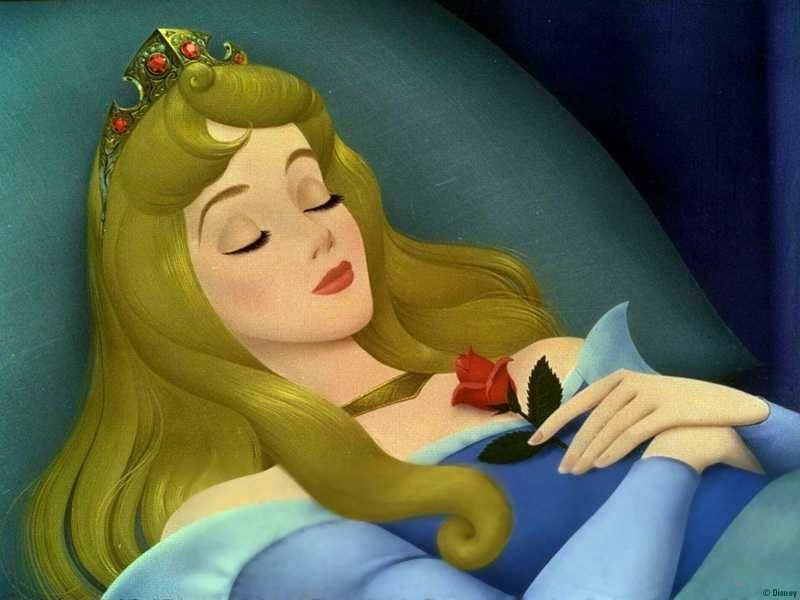 Kleine–Levin syndrome (KLS), also known as Sleeping Beauty syndrome, is a rare sleep disorder characterized by persistent episodic hypersomnia and cognitive or mood changes. Many patients also experience hyperphagia, hypersexuality and other symptoms. Patients generally experience recurrent episodes of the condition for more than a decade and may return at a later age. Individual episodes generally last more than a week, some times lasting for months. The condition greatly affects the personal, professional, and social lives of sufferers. The severity of symptoms and the course of the syndrome vary between sufferers. Patients commonly have about 20 episodes over about a decade. Several months generally elapse between episodes. The onset of the condition usually follows a viral infection; several different viruses have been observed to trigger KLS. It is generally only diagnosed after similar conditions have been excluded; MRI, CT scans, lumbar puncture, and toxicology tests are used to rule out other possibilities. The syndrome’s mechanism is not known, but the thalamus is thought to possibly play a role. SPECT has shown thalamic hypoperfusion of patients during episodes. KLS is very rare, occurring at a rate of one in 14 million, which limits research into genetic factors. The condition primarily affects adolescent males, though females can also be affected and the age of onset varies. There is no known cure, and there is little evidence supporting drug treatment. Lithium has been reported to have limited effects in case reports, decreasing the length of episodes and duration between them in some patients. Stimulants have been shown to promote wakefulness during episodes, but they do not counteract cognitive symptoms or decrease the duration of episodes. The condition is named after Willi Kleine and Max Levin, who described cases of the disease in the early 20th century. It was added to the International Classification of Sleep Disorders in 1990. Patients with Kleine–Levin syndrome (KLS) experience reoccurring episodes of prolonged sleep (hypersomnia). In most cases, patients sleep 15 to 21 hours a day during episodes. Excessive appetite (hyperphagia) and unusual cravings are present in half to two thirds of cases. About half of patients, mainly male patients, experience dramatically increased sexual urges (hypersexuality). Several other symptoms usually accompany the syndrome, including marked changes in mood and cognitive ability. Derealization and severe apathy are present in at least 80 percent of cases. About one third of patients experience hallucinations or delusions. Depression and anxiety occur less commonly; one study found them in about 25 percent of patients. Individuals usually cannot remember what happened during episodes. Repetitive behaviors and headaches are commonly reported. Some patients act very childlike during episodes, and communication skills and coordination sometimes suffer. Sleep studies of KLS show varying results based on the amount of time the patient is observed. Slow wave sleep is often reduced at the beginning of episodes, and REM sleep is reduced near the end. Conversely, REM sleep is often normal at the beginning, and slow wave sleep is often normal by the conclusion. Stage two non-rapid eye movement sleep is often interrupted during KLS. Studies also show that stage one and three non-rapid eye movement sleep become more efficient when the episodes end. The Multiple Sleep Latency Test has yielded inconsistent results when given to KLS patients. In many cases, hours are spent in a withdrawn sleep-like state while awake during episodes. Most sleep studies have been performed while subject are near the end of their episodes. Some patients experience brief insomnia and become very happy and talkative after the episode ends. Epilepsy and depression do not appear to cause KLS. The condition’s rapid onset after infections indicates that the immune system is not to blame. Several drug therapies have been used on patients with KLS, but none of them have been subject to randomized controlled trials. A 2016 Cochrane Review concluded that “No evidence indicates that pharmacological treatment for Kleine-Levin syndrome is effective and safe”. The frequency of KLS episodes can vary from attacks one week in length occurring twice a year to dozens of episodes that follow each other in close succession. The median duration of KLS episodes is about ten days, but some last several weeks or months. A study of 108 patients found an average of 19 episodes over the duration of the disease. Another study found a median of 3.5 months between episodes. Outside of episodes, there is no disturbance in patients’ sleep patterns and they are generally asymptomatic. Patients do not experience the same symptoms in each episode. de Oliveira, Marcio M.; Conti, Cristiane; Prado, Gilmar F. (2016-05-06). “Pharmacological treatment for Kleine-Levin syndrome”. The Cochrane Database of Systematic Reviews (5): CD006685. doi:10.1002/14651858.CD006685.pub4. ISSN 1469-493X. PMID 27153153. Arnulf, Rico & Mignot 2012, p. 920. Arnulf, Rico & Mignot 2012, p. 921. Arnulf, Rico & Mignot 2012, p. 919. Huang, Lakkis & Guilleminault 2010, p. 558. Arnulf, Rico & Mignot 2012, p. 923. Huang, Lakkis & Guilleminault 2010, p. 559. Gupta, Lahan & Srivastava 2011. Frenette & Kushida 2009, p. 364. Frenette & Kushida 2009, p. 363. Arnulf, Rico & Mignot 2012, p. 922. Huang, Lakkis & Guilleminault 2010, p. 560. Arnulf, Rico & Mignot 2012, p. 924. Arnulf, Rico & Mignot 2012, p. 925. Arnulf, Rico & Mignot 2012, p. 918. Oliveira, Conti & Prado 2013. Huang, Lakkis & Guilleminault 2010, p. 557. Arnulf, Isabelle; Rico, Thomas; Mignot, Emmanuel (2012). “Diagnosis, Disease Course, and Management of Patients with Kleine-Levin Syndrome”. The Lancet Neurology. 11 (10): 918–28. doi:10.1016/S1474-4422(12)70187-4. PMID 22995695. Arnulf, Isabelle; Zeitzer, J. M.; Farber, N.; Mignot, Emmanuel (2005). “Kleine–Levin Syndrome: a Systematic Review of 186 Cases in the Literature”. Brain. 128 (12): 2763–76. doi:10.1093/brain/awh620. PMID 16230322. Billiard, Michel; Jaussent, Isabelle; Dauvilliers, Yves; Besset, Alain (2011). “Recurrent Hypersomnia: a Review of 339 Cases”. Sleep Medicine Reviews. 15 (4): 247–57. doi:10.1016/j.smrv.2010.08.001. PMID 20970360. Brown, DW (1993). “Abnormal fluctuations of acetylcholine and serotonin”. Medical Hypotheses. 40 (5): 309–310. doi:10.1016/0306-9877(93)90011-e. PMID 8350780. Frenette, Eric; Kushida, Clete (2009). “Primary Hypersomnias of Central Origin”. Seminars in Neurology. 29 (4): 354–67. doi:10.1055/s-0029-1237114. PMID 19742411. Gupta, Ravi; Lahan, Vivekananda; Srivastava, Malini (2011). “Kleine-Levin Syndrome and Idiopathic Hypersomnia: Spectrum Disorders”. Indian Journal of Psychological Medicine. 33 (2): 194–98. doi:10.4103/0253-7176.92048. PMC 3271500  . PMID 22345850. Huang, Yu-Shu; Lakkis, Clair; Guilleminault, Christian (2010). “Kleine-Levin Syndrome: Current Status”. Medical Clinics of North America. 94 (3): 557–62. doi:10.1016/j.mcna.2010.02.011. PMID 20451032. Kodaira, Minori; Yamamoto, Kanji (2012). “First Attack of Kleine-Levin Syndrome Triggered by Influenza B Mimicking Influenza-associated Encephalopathy”. Internal Medicine. 51 (12): 1605–8. doi:10.2169/internalmedicine.51.7051. PMID 22728499. Mignot, Emmanuel (2012). “A Practical Guide to the Therapy of Narcolepsy and Hypersomnia Syndromes”. Neurotherapeutics. 9 (4): 739–52. doi:10.1007/s13311-012-0150-9. PMC 3480574  . PMID 23065655. Oliveira, Marcio; Conti, Cristiane; Prado, Gilmar (2016) [2013 PMID 23945927]. “Pharmacological Treatment for Kleine-Levin Syndrome”. Cochrane Database of Systematic Reviews. 5: CD006685. doi:10.1002/14651858.CD006685.pub4. PMID 27153153. Pearce, J. M. (2008). “Kleine–Levin Syndrome: History and Brief Review”. European Neurology. 60 (4): 212–4. doi:10.1159/000148694. PMID 18667831. Ramdurg, Santosh (2010). “Kleine–Levin Syndrome: Etiology, Diagnosis, and Treatment”. Annals of Indian Academy of Neurology. 13 (4): 241–6. doi:10.4103/0972-2327.74185. PMC 3021925  . PMID 21264130.